Spinning your wheels in an effort to get shredded? 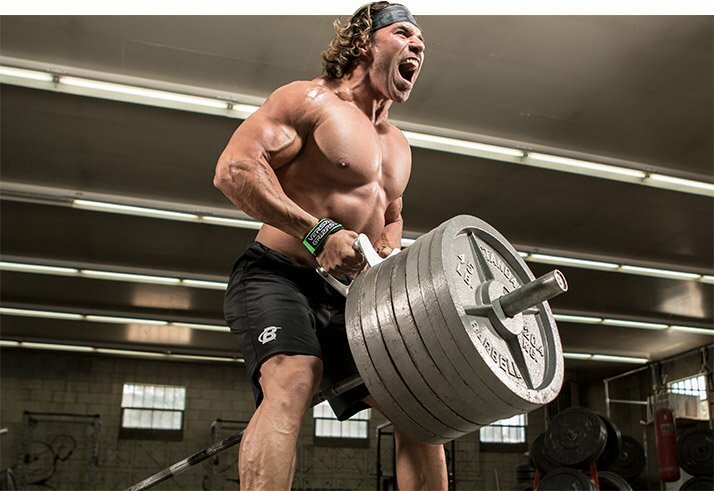 Take your fat loss to alpha levels with these 8 tips from the elite athletes of Team Cellucor! Want to take your fat-loss game to alpha levels? You can't just putter around repeating the same tired techniques and diets you've tried in the past. Instead, you need some cutting-edge alpha advice straight from the pros. Apply the wise words of Team Cellucor's elite athletes to your training, nutrition, and supplement regimen to reach your get-shredded goals! If you've been hitting the gym and eating smart but still feel like your progress has stalled, it might be time to take a step back and reflect. "Be honest with yourself about the amount of work you're putting in at the gym and everything you eat each day," recommends fitness model Jen Jewell. "Are you giving it your all in each workout, or are you just going through the motions?" "Are you giving it your all in each workout, or are you just going through the motions?" If you come to the realization that you may not have been working as hard as you could have, don't let it get you down. Even the best athletes go through periods of low energy and stagnation. Instead, use your newfound knowledge to your advantage. "The sooner you can identify any issues with your work ethic or consistency, the sooner you can fix them and start making results happen," says Jewell. Jewell also notes that, after assessing her clients' weekly nutrition reports, she'll often find the real reason they aren't seeing weight loss is that they don't effectively track extra snacks—even if they're just taking some daily nibbles off a dessert or their kids' plates. Whatever your guilty treat might be, you need to be honest with yourself about it if you want to transform! "Immediately dropping calories may seem like the right thing to do, but after that initial weight loss, you'll struggle to see further change." Your body is very good at adapting. Once it gets good at running on low calories, you eventually won't be able to decrease them any further and will have to log more time on the treadmill to keep seeing results. Alas, low calories and a lot of cardio is a recipe for a catabolic disaster. If you follow that plan for too long, you might get skinny, but you won't have any shapely muscle to show for it. Instead of drastically cutting calories at the start of a fat-loss diet, start with cardio, then trim calories slowly. "Some people will see results from as little as a 100-200-calorie drop from their maintenance level," Baymiller says. "But the deeper you dig and the further from maintenance you go, the more likely you are to lose muscle mass, not fat. So, before you make any changes to your calories, add a few high-intensity interval sessions to your regular routine and see what happens." Do your best to avoid very low-calorie diets, and you'll be much more likely to see that fat go away and those muscles look awesome. "You don't have to do endless hours of cardio each day in order to get lean, but if fat loss is your primary goal, you should be doing some sort of cardio 4-5 times per week in addition to your strength-training regimen," says Jewell. Jewell says she likes to make every workout different, so no two cardio days are alike. "Take a fun approach to your cardio," she says. "One day, do some high-intensity intervals like sprints, try a spin class the next day, and then try some plyometrics for your next cardio workout." Doing various types of cardio will make it difficult for your body to adapt to the training, so you'll get effective fat-burning results every time. Changing how you do cardio will also help you feel less bored and more likely to keep it up! Your body is made up of water. Your muscles, bones, skin, and hair, down to the last cell, need water. Your body can't run well, let alone burn fat, if you're dehydrated. "Water goes a long way toward speeding up the fat-loss process," says the three-time Mr. Universe. While it might seem simple, drinking lots of water is Calum von Moger's number one fat-loss tip. "Water goes a long way toward speeding up the fat-loss process," says the three-time Mr. Universe. Why? Well, drinking cold water may provide a slight metabolic boost, and we often confuse thirst for hunger. Before you reach for your next snack, try drinking 8-16 ounces of water to save the calories for your next meal. Because every person has different hydration needs, there's no exact amount you should shoot for. However, it's always a great idea to sip water throughout the day. If you need a little flavor in your water to stop you from reaching for a soda or another sugary beverage, add a slice of lemon or fresh berries to a pitcher, or mix in some yummy BCAAs like Alpha Amino. "The number on the scale isn't a direct reflection of your fat loss or fitness results," says Jewell. "When you train with weights, your muscle mass will increase. Building muscle may result in a bigger number on the scale, even if you're losing fat." Instead of using the scale to ju e your weight-loss success, Jewell recommends paying attention to how your clothes fit and glancing back at progress photos to more accurately measure results. "Don't let the scale become a mind game that disguises how well you may be doing," she says. For maximum accountability, Jewell has her clients take weekly or monthly progress photos. She says they're the most accurate tool for measuring true progress. Although there's no need to remove carbohydrates completely from your diet, von Moger likes to keep his carbs low before he trains when he's focused on burning the most fat possible. "Having less glycogen, or stored carbohydrates, in your muscles means your body could become more efficient at burning fat for workouts," he says. If you choose to train low-carb, you may find that your energy level in the gym drops, so you'll need a lot of mental toughness to get through these sessions. To combat fatigue and any potential muscle loss, von Moger suggests drinking amino acids throughout any carb-free workout. "The best fat-loss tip I can give you is to increase the intensity of your workouts," says IFBB pro Craig Capurso. You can make your workouts more intense by decreasing your rest periods, adding weight, using free weights instead of machines, and utilizing techniques like supersets, circuits, or one-minute blasts of cardio between sets. "The best fat-loss tip I can give you is to increase the intensity of your workouts," says IFBB pro Craig Capurso. Capurso explains that making your weight-training sessions more intense will be far more effective for fat-burning than spending an hour on the treadmill. Yes, you burn fat while you're on the treadmill, but an intense weight-training workout will result in the added benefit of post-exercise oxygen consumption (EPOC), which means you'll burn calories for hours after you're done training. Increasing the intensity of your workout will also increase your heart rate and overall energy expenditure. Both will help you burn calories and get alpha lean! "Juice, for example, even if it is home-made, is still packed with a lot of sugar." When he's trying to get alpha lean, von Moger completely removes excess sugars and dairy from his diet. 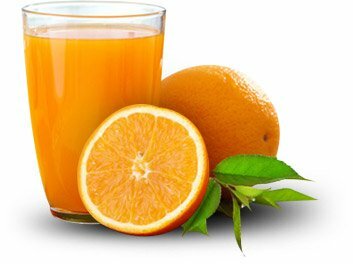 "Juice, for example, even if it is home-made, is still packed with a lot of sugar," he says. If you absolutely can't do without your gummy bears, that's OK. You just have to eat them strategically. "If you don't want to completely cut sugar from your diet, just eat it right after your workout so your body can utilize it to replace lost glycogen stores," advises von Moger. Although these tips work great when they're applied together, people respond to training, nutrition, and supplement variables differently. Apply these tips one at a time if you really want to measure what impacts your fat loss most powerfully. For example, try going low-carb before your workouts. See how that works for a week or two, and record what you experience. You'll be able to tell what's working for you and what isn't, and adjust from there.